Today Luke, Romy & I went to our friends house for a BBQ. 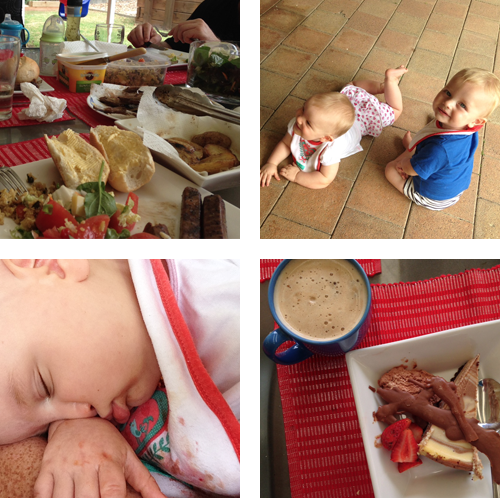 Renee & I meet up for coffee every week with our babies, but this week we threw a spanner in the works and had a lunch BBQ with both of our little families. We had such a lovely afternoon outside drinking pear cider, talking about Renee & Simon's upcoming wedding, eating delicious food (Renee made the tastiest chocolate cheesecake!) and watching our babies play together. It was a perfect Monday afternoon! your kids are darling! love your blog!